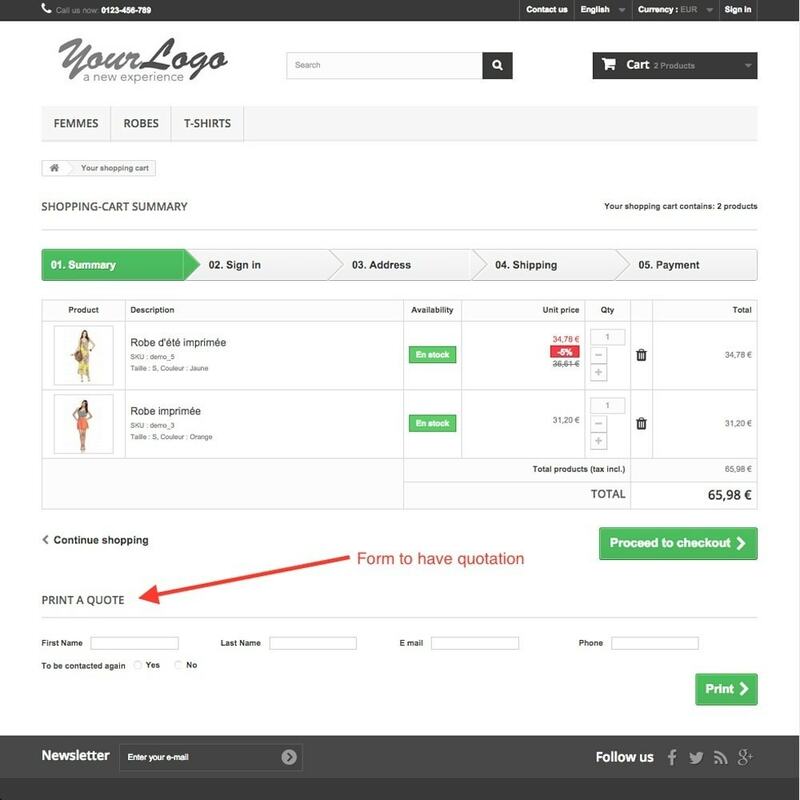 An email can be sent to the website seller to inform him that a quotation request has been made. 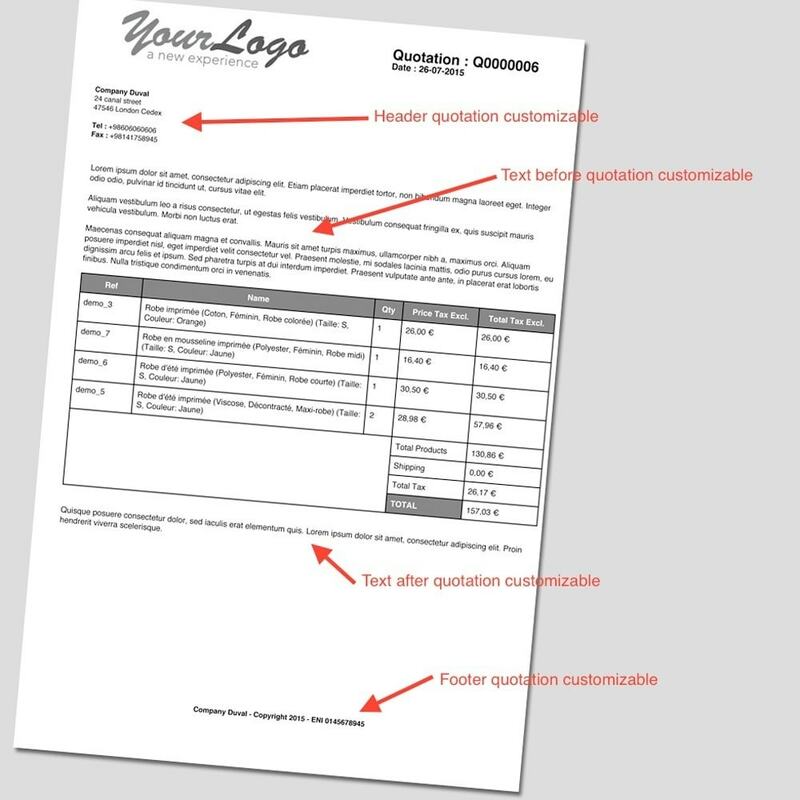 In back office, the seller will find all the quotations with a possibility to get the pdf version of the quotation and the related cart. Then the administrator will be able to entirely recreate the order from the cart. 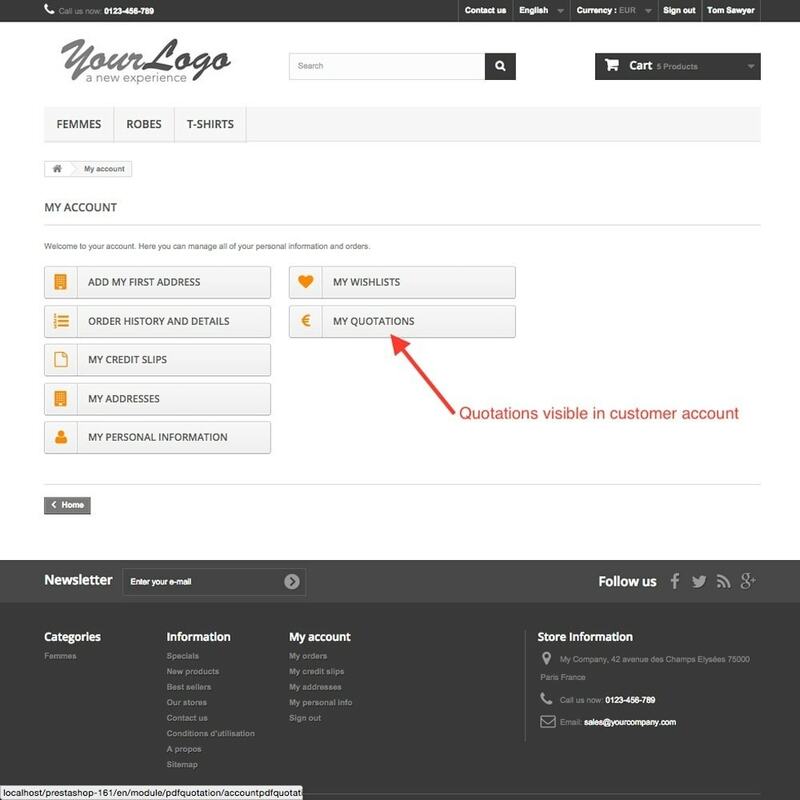 The seller will be able to customize the quotations as wished by modifying the quotation texts. 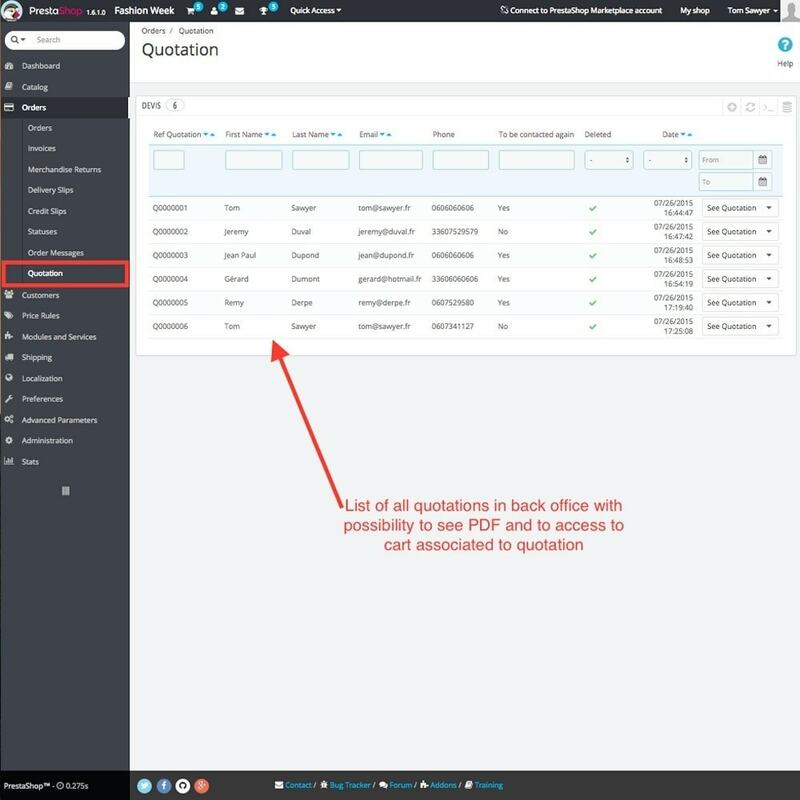 - Securization of the pdf downloads for each customer account. The customer will be able to save quotations that he/she will for instance forward to his/her management for approval. At any time, he/she will have the possibility to regenerate the cart from a quotation by connecting to his/her account. 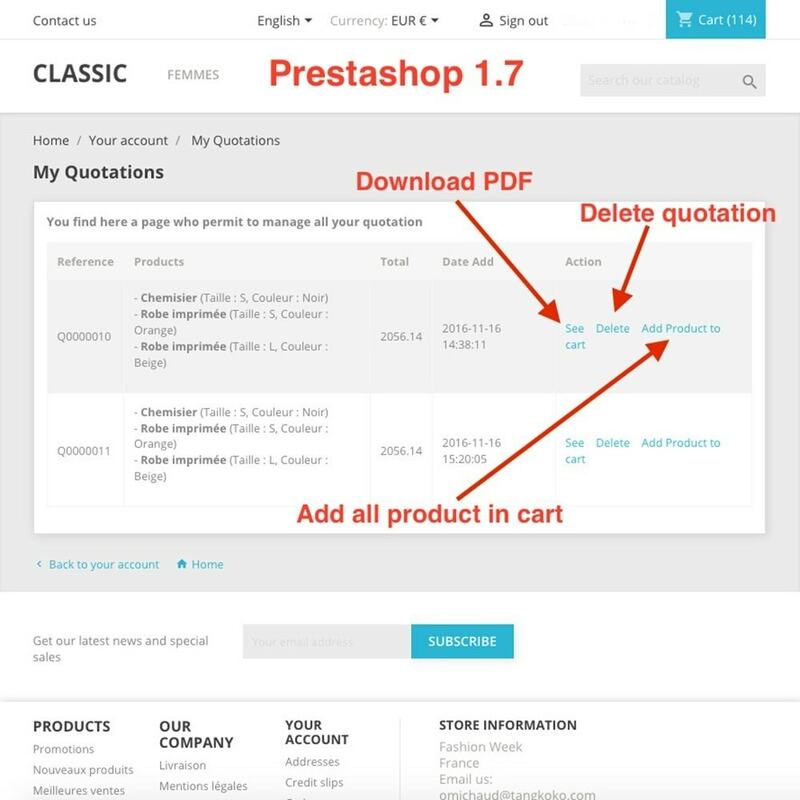 There is the possibility to download the quotations and delete the old ones. 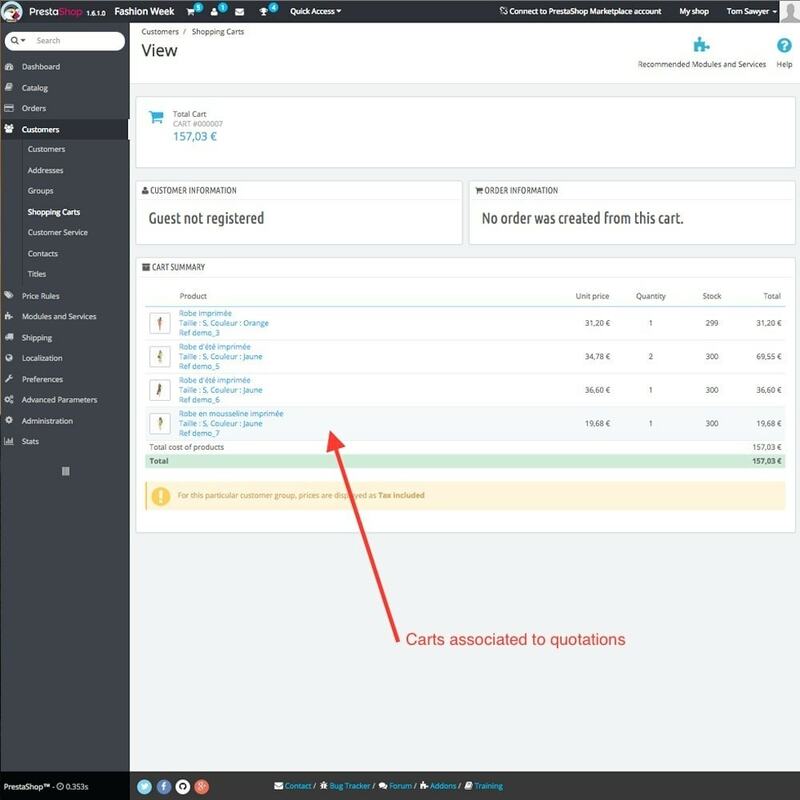 The customer adds the products in the cart. 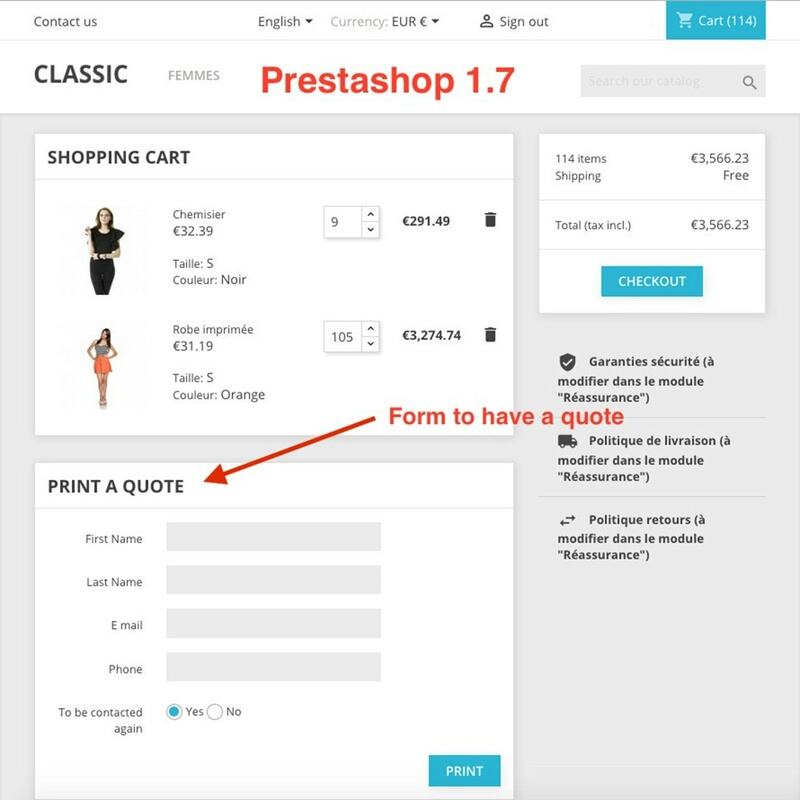 Then from the order process, in step 1, the cart can be transformed into a quotation that will be in pdf format. 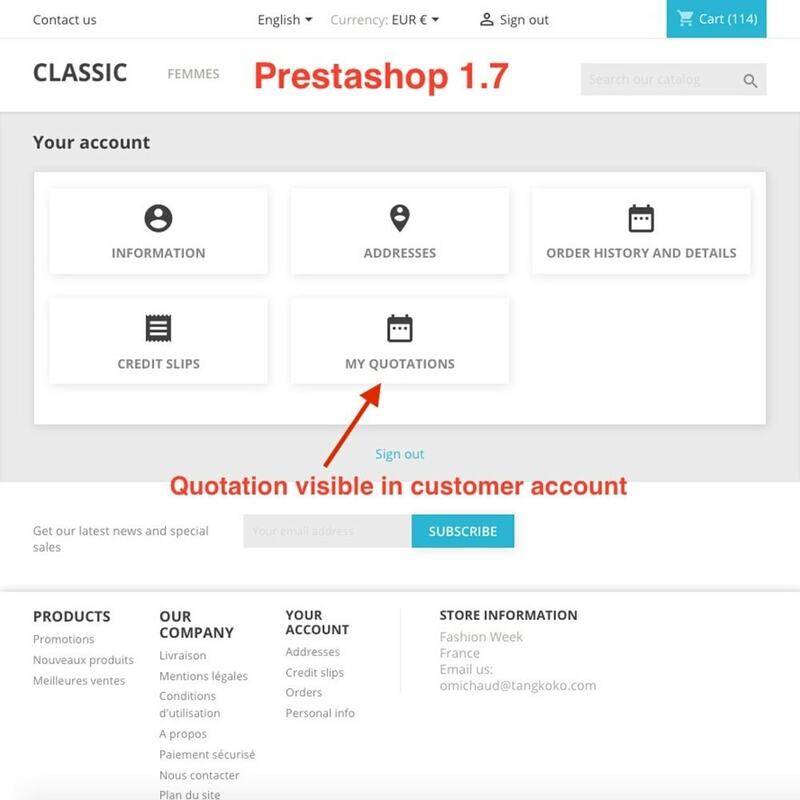 This quotation will be saved in the customer account so that at any time, the customer will be able to convert the quotation in a new cart. 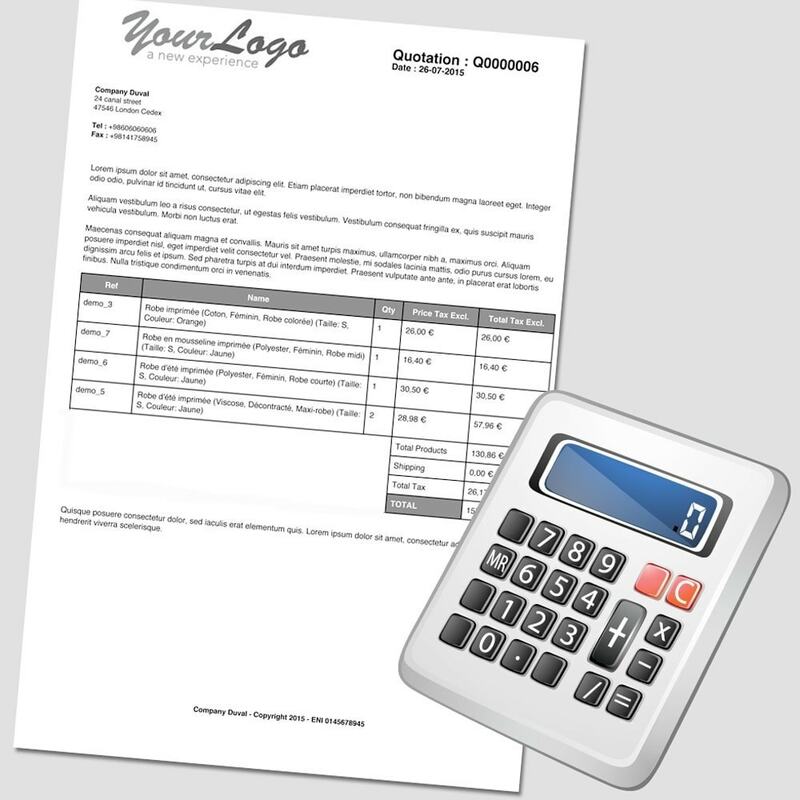 This quotation may also be emailed to the website administrator with all the customer information even if the customer is not yet registered on the website. Install normally your module in the menu "Modules/Modules », then click on the button "Add a new module"
Then go in the menu « Orders/Quotations » the see the quotations of your clients.